St. Urho’s Day – every day's a holiday! Great review of St. Urho’s Day. Dr. Sulo Havumaki was my professor and I like to believe the creator of this fictional saint. At least that’s the story I’m going with in my blog coffeesnobology.com. 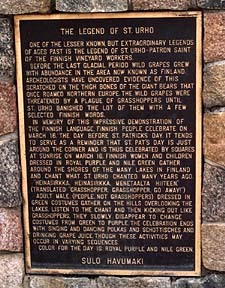 I have to say St. Urho’s Day is one of my favorite holidays, and I’ve covered quite a few of them. We are all in debt the to good professor! Todavia necesito aprender mas sobre todo esto para poder elegir la opcion mas sensata para mi. Ahora busco informacion sobre lo que llaman de la “dieta dominguera”. I am Richard Mattson’s son. I have been well aware of what has transpired since Dad created St. Urho. 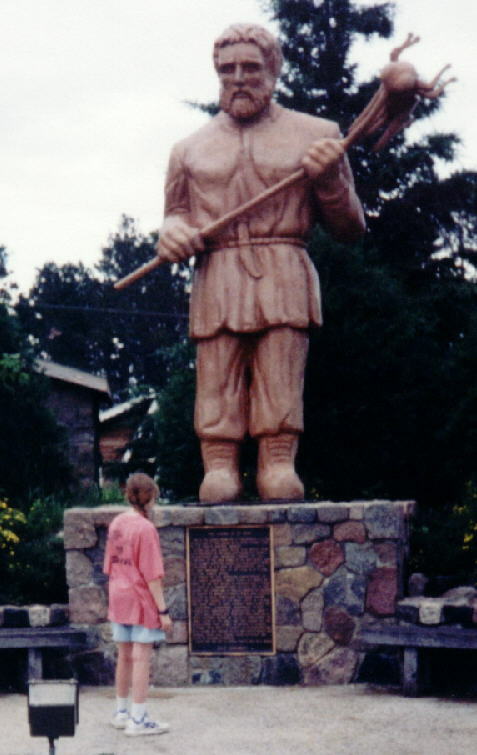 Gene McCavic was an employee of Ketola’s Department Store in Virginia, Minnesota, who wrote the original Ode to St. Urho. My sister went to Bemidji State and had Dr. Havumaki as an instructor her first year there. She had mentioned St. Urho one day, and Dr. Havumaki asked her about him. It is known that Dr. Havumaki was interested in folklore from the Iron Range, as the Range is made up of many European backgrounds. It was from here that Dr. Havumaki probably took the idea and changed it to grasshoppers. 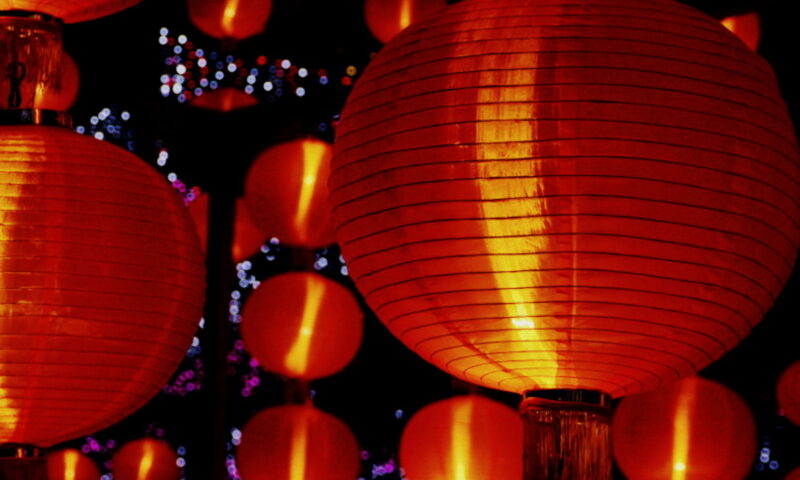 The date was also changed to the present day from May seventeenth. I give Dr. Havumaki cudos and credit for getting St. Urho better known and spreading the word about him and his antics. However, he did not create St. Urho. Richard Mattson, my Dad, did. The real proof is in hard print at the Mesabi Daily News in Virginia in the archives. I have yet to see any bonafide proof that Dr. Havumaki or any other person created St. Urho before that. If so, I would like to hear from them and see their proof. In the meantime, let’s keep upholding and celebrating the memory of a great fictional saint! Thanks for shedding light on that Mike! If you don’t mind I’d like to include your comment in the actual post itself. When people ask me if any holidays stand out in my memory, I always mention St. Urho’s Day. There’s something about it that captures the imagination. I had the privilege of having Sulo as my professor in the winter quarter of 1969 at BSU. Sulo would lead his students through the tunnels of BSU playing instruments on St. Urho’s Day. Bemijdi State University has numerous tunnels for students to go from building to building on the sprawling campus without having to venture outside in the cold winters.